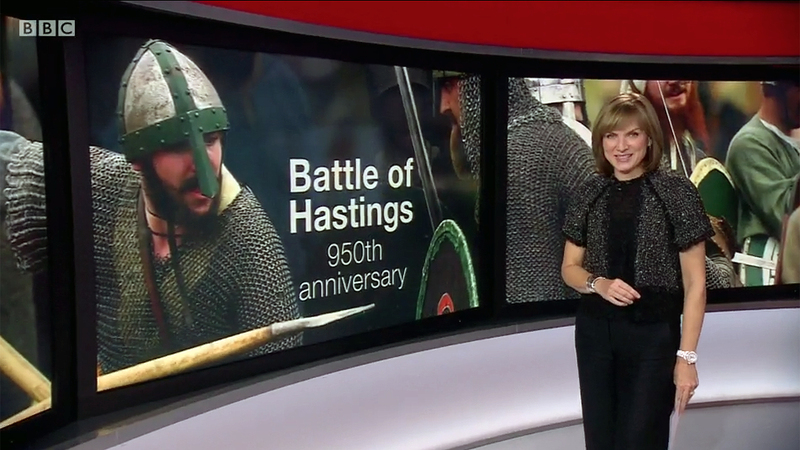 Yesterday I was sent down by BBC News to the lovely town of Battle to cover a reenactment of the Battle of Hastings, commemorating the 950th Anniversary of that fateful day. 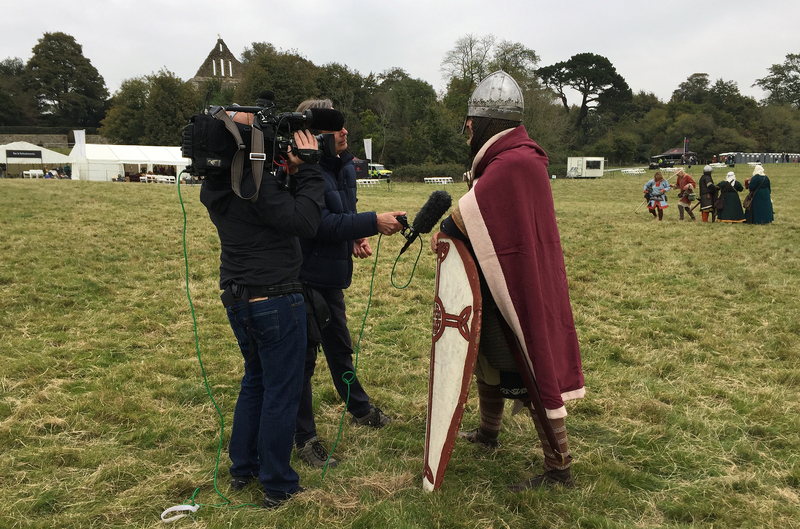 I arrived at about 2pm to find that Tim and Duncan had organised a mock battle just for me to film for our piece and the action made up a major part of our edit. The guys taking part were great, their costumes were fantastic, their attention to detail is second to none and although very tired after their fourth run through (Just for me) they were all knackered but full of enthusiasm. 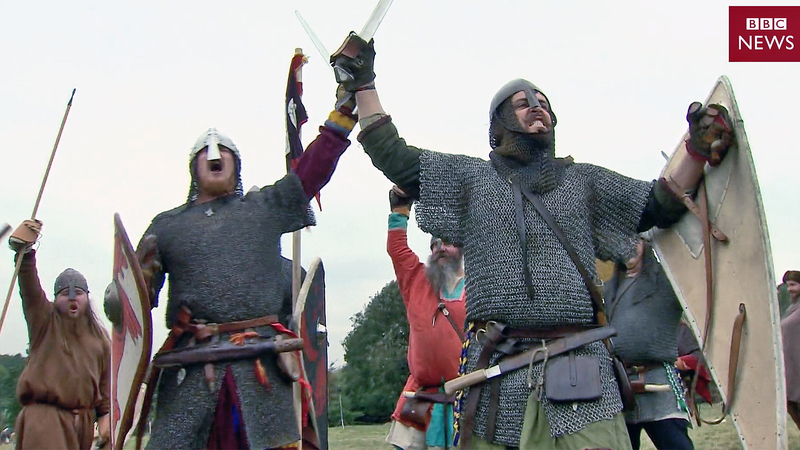 I have to say thanks to them for letting me into the thick of the fighting despite the obvious health and safety pitfalls of thrashing longswords and spears. 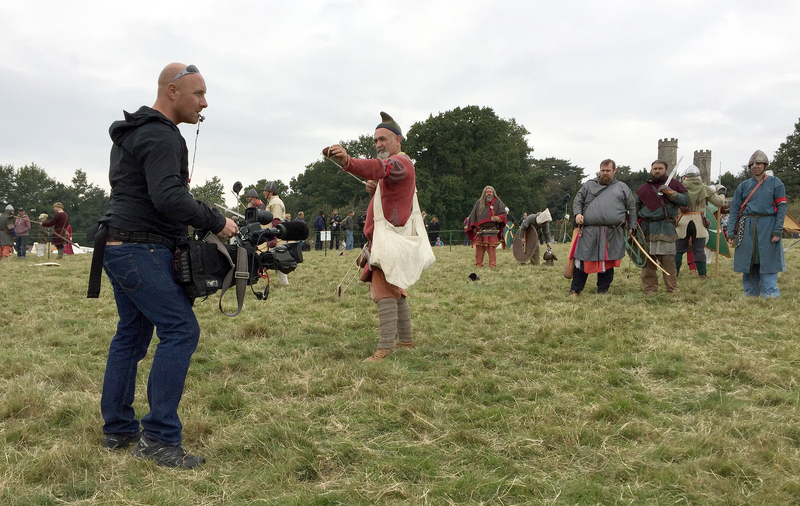 All in all we had 4 hours to film all the action, get voxes, grab an interview with a English Heritage Spokesman, film some GV’s (thanks Tim) and then ingest, edit and transmit our piece in time for the Six. Sounds a lot of time but it’s always tight!! 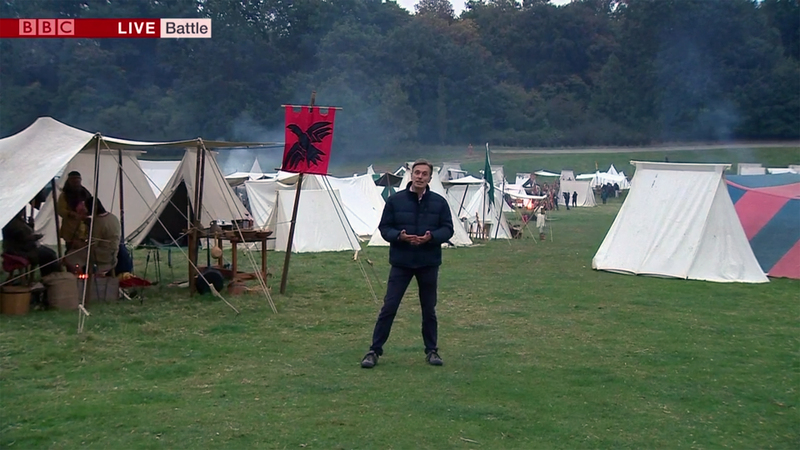 After all that we had to get ourselves back across the battlefield for Duncan’s live to introduce the item. This was done using a LiveU unit. Never thought I’d be interviewing the real King Harold!! Dont want to annoy these chaps… I think he didn’t want to do another take! 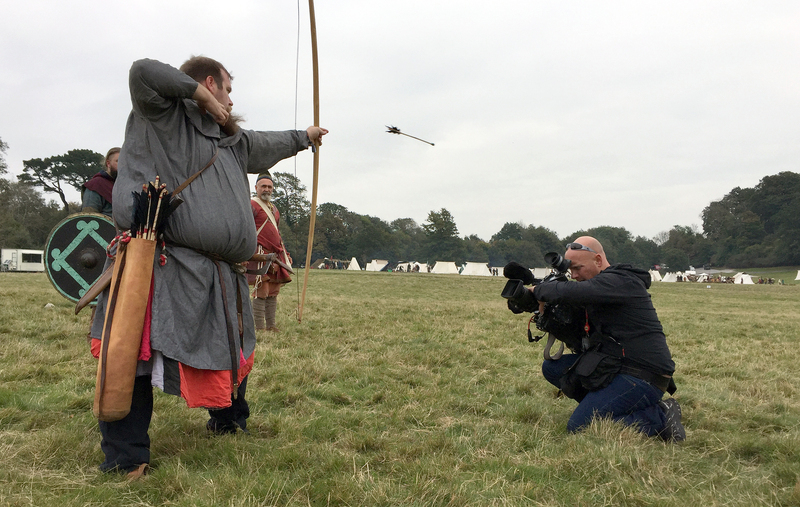 Luckily the arrows he was firing had rubber pointy bits. 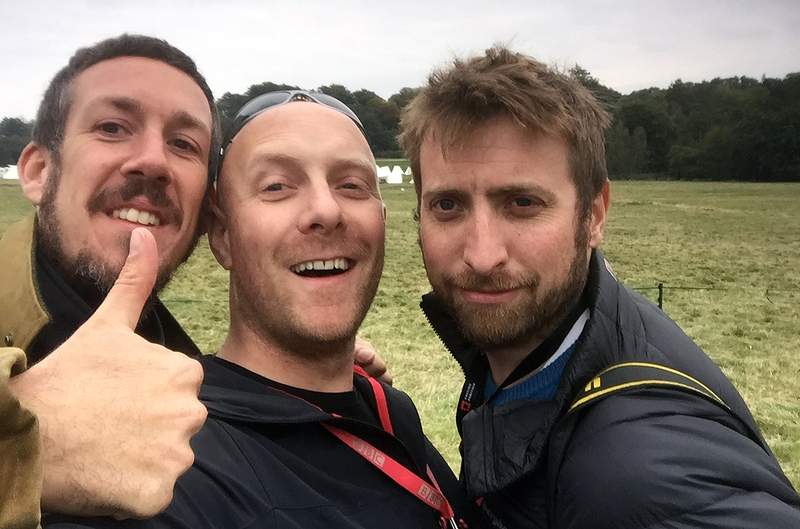 Time for a very quick selfie with snappers Carl and Ben. 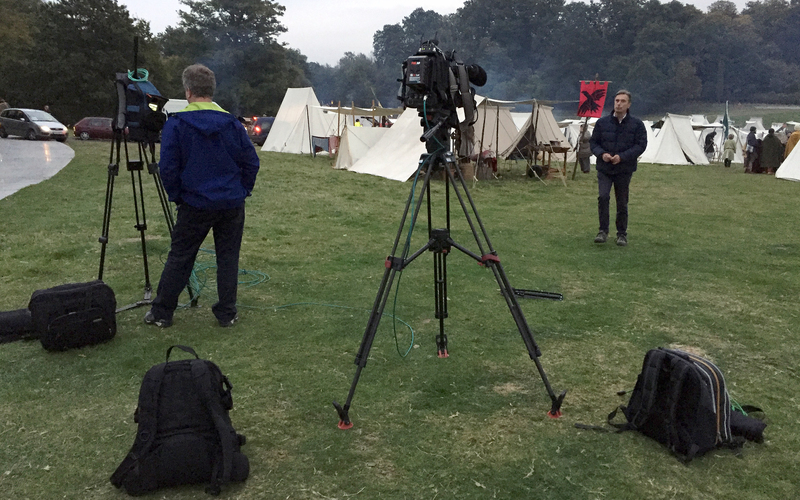 Setting up our live position with light fading fast on the battlefield. What a pro… Duncan doing his ‘live top’. 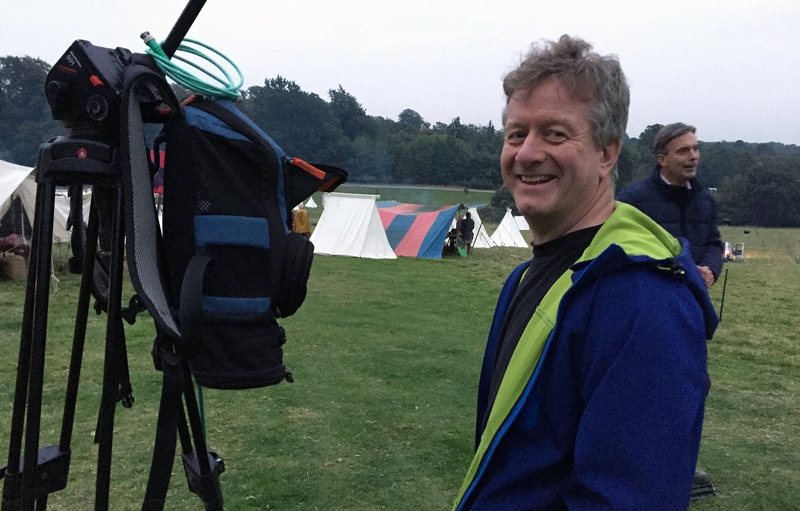 The legend… Tim operating the LiveU. The reaction when we made our deadline for the Six.